Old (left) and new (right) design side-by-side. The new design is cleaner and more pleasant to the eye. The new design also looks better on mobile screens, as I took some care of adapting the templates for pocket devices. 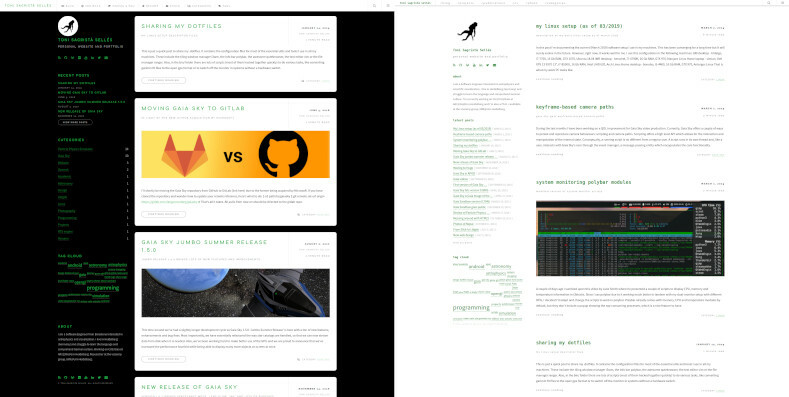 Finally, I changed the home page from the blog summary listing to an introduction and welcome page, and added a full blog listing page containing a list of all blog post titles sorted by date.